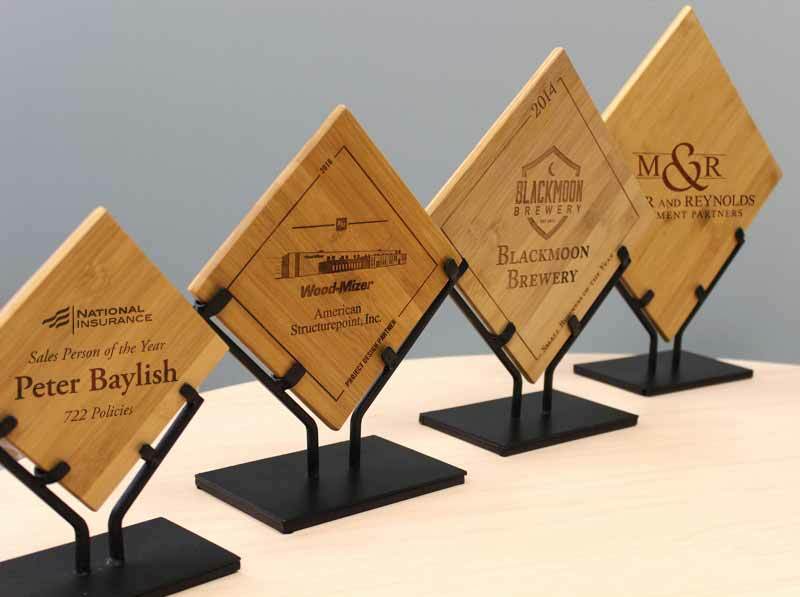 Bamboo awards in a great looking diamond plaque. 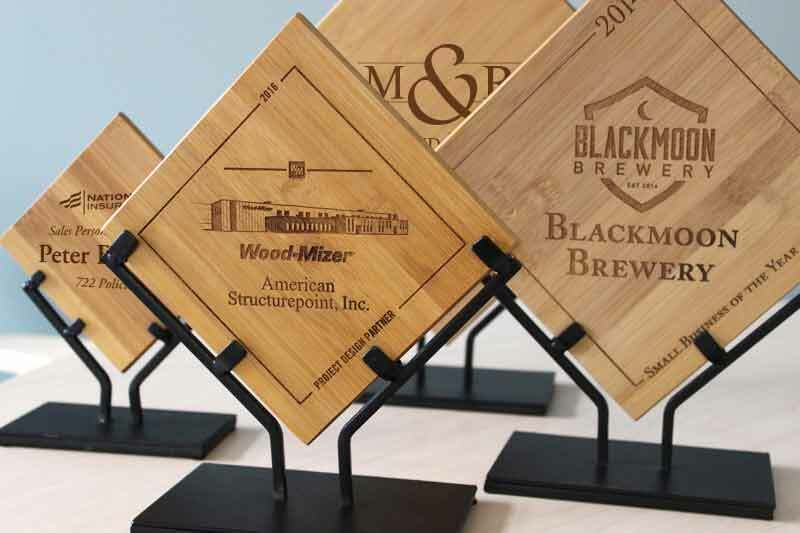 Engraved recognition plaques with iron stand. Bottom of stand has 4 rubber pads. 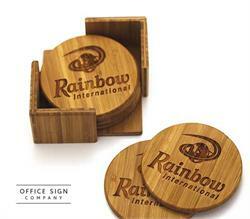 Bamboo thickness is 3/8" and can be laser engraved on both sides. Your custom message, employee names and logos at no additional charges - and no setup fees whatsoever. Quantity discounts displayed on this page. This bamboo plaque is available in 4 sizes. Gorgeous and renewable bamboo recognition plaques, awards and trophies.